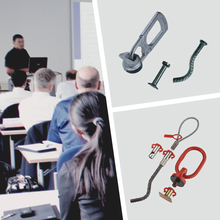 Products that have reached their discarding time or disregarding the principles of proper use pose a great danger to man and material. 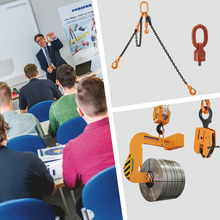 Trained staff increase safety in the company, avoid accidents and lower costs. 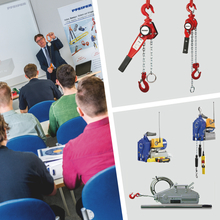 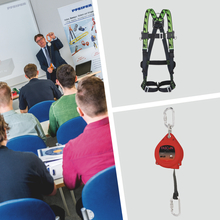 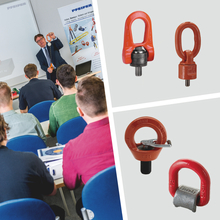 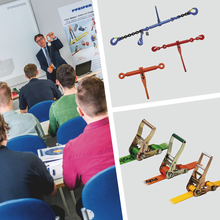 In our proven technical seminars, competent and experienced instructors present all the important and interesting facts on theory and practice to your employees as well as the newest standards. 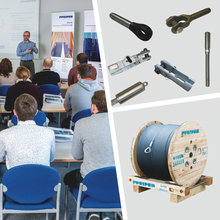 Why not also make use of our on-site technical seminars and instructions, with contents that we customize especially to suit your applications, loads and products?